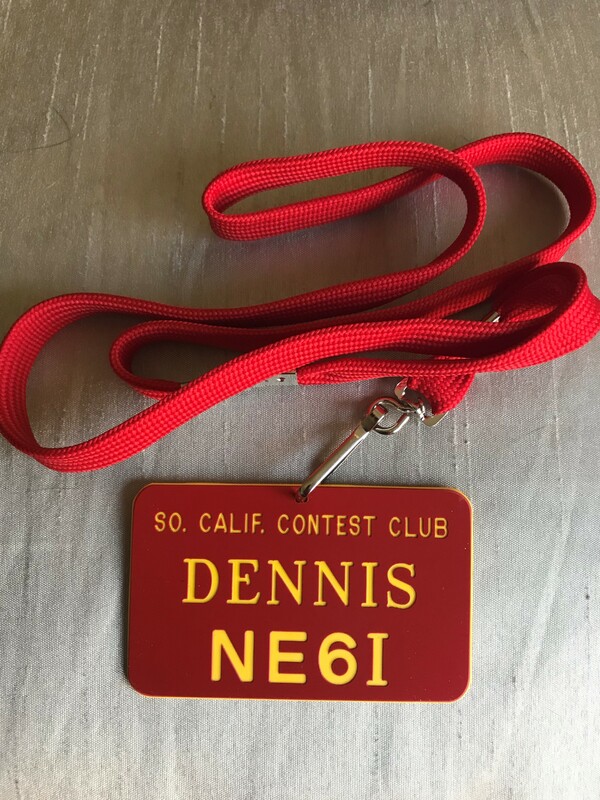 Purchase Membership Badge:       The Sign Man         See sample here. Welcome aboard to new member Paul, W6PNG (pictured left). Paul is located in Laguna Beach. 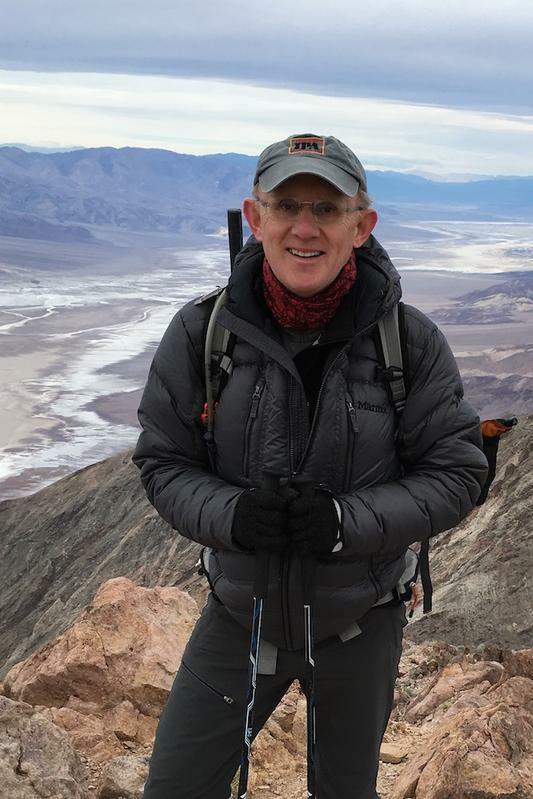 Paul has been active of late in SOTA and NPOTA activations, which has led to suitcase DXpeditons, as he calls them. While he is antenna impaired at his home QTH, he is able to get on for contesting from other locations. He did ARRL DX Phone for the second consective year from TI7 for example. He was also interviewed by Eric 4Z1UG on QSO Today. Welcome Paul! Also, welcome to NI6V. 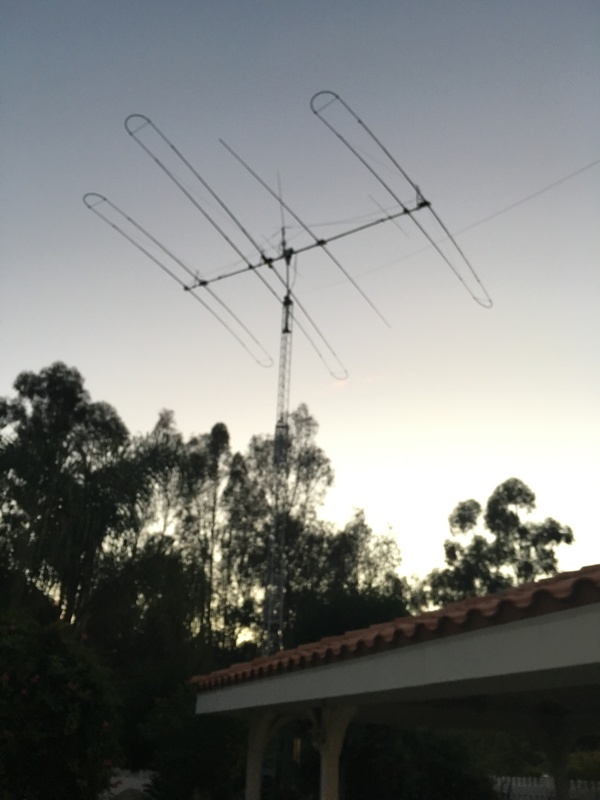 Matthew is in Long Beach and enjoys CW, RTTY and QRP. He too is antenna challenged at his home QTH but he will be purchasing an Elecraft KX3 and Buddipole so that he can go portable. We are hams. Amateur radio operators. Radio guys. As such, we use batteries. Probably more than the average person. Certainly we have more of an interest than most in how batteries work, how to properly charge them, and how to prolong their life. Battery University has all sorts of information on batteries. You'll find chapters under "Crash Course on Batteries," "Battery Types," "Battery Testing and Monitoring," and "How to Prolong Battery Life," among others on the site. There is a plethora of interesting material there. There is even a fascinating section called "Charging Without Wires -- A Solution or Laziness." Most of us are familiar with the basic concept but this chapter provides some interesting information on the topic. Battery University is a good place to learn a lot about batteries. The following story has been added April 2, after the original publishing date of the April News (SCCCORE). Congratulations to Team Exuberance, a group of youngsters including our own Levi, K6JO! 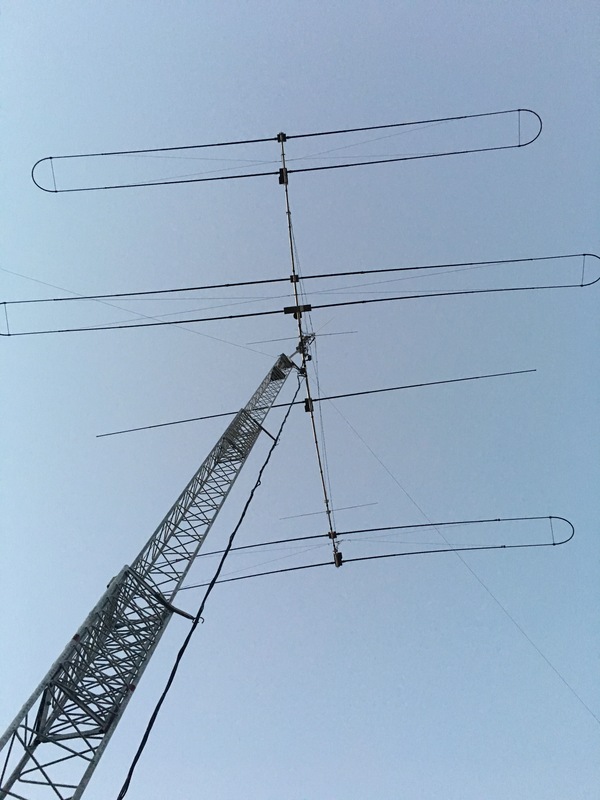 The group, with the support of many amateur radio operators nationwide via a GoFundMe page, traveled to the K3LR superstation in Pennsylvania to try their hand at the CQ WPX SSB contest the final weekend of March. While these youngsters are not new to contesting, they don't have the many years of experience that many of us in the club have. Tim, station owner of K3LR, provided some great coaching, according to the team, and their claimed score benefited from that as well as their own recent contest experiences. According to their 3830scores.org submission, the team scored nearly 23.8 million points and is currently listed in first place in the M/2 HP category! Congratulations to all of them for a superb outing! Photos and more from this effort can be found on the K3LR web site. Reminder, we are always on the look out for photos of your station, antennas, and portable or expeditions. Also member web sites and award photos. We also have a For sale/wanted section here on the web site. The results of the September, 2018 NA Sprint SSB have been published. Marko, N5ZO placed 3rd. NX6T operated by KK6NON (now K6JO) placed 10th. The SCCC #1 team placed 6th. Full results can be found here. Preliminary NAQP RTTY results of the February, 2019 edition have been published by NCJ. SCCC #1 scratched and clawed its way to an 11th place finish. Not our best showing. Conditions were mighty punk on that weekend. Read the article here. Preliminary results of the 2019 ARRL DX Contest CW have been published by the ARRL. You can read them by clicking here. Last November 6, the on-set station of the television show "Last Man Standing" (licensed as KA6LMS, get it? LMS...Last Man Standing) was put on the air during a break in taping at Studio City. Special guest operators KN4AQ, KD4ACW and W0DHG took turns operating the station. Also, youngster Jet Jurgensmeyer who plays Boyd on the show spent some time operating along side KN4AQ. Jet had a good time, and expressed an interest in getting his ham license. In this video, Jet looks and sounds like a natural at the mic. Perhaps we can interest him in contesting once he gets his license! The show Last Man Standing airs Fridays at 8:00 pm on Fox. Do any of you find yourself checking the QSLs on the wall of the station while watching the show? I always look to see whose cards and calls I recognize! Click here for the this month's SCCC monthly poll. Our March, 2019 poll was "What logging software do you use in contests?" 75% of our respondents said N1MM+. 10% said Writelog and another 10% said N3FJP. 5% each said TRLog/TR4W, Win-test or other. Our February, 2019 poll was "Do you use high, low or QRP power in contests?" 56% of our respondents said high power. 21% said low power and 13% said QRP. 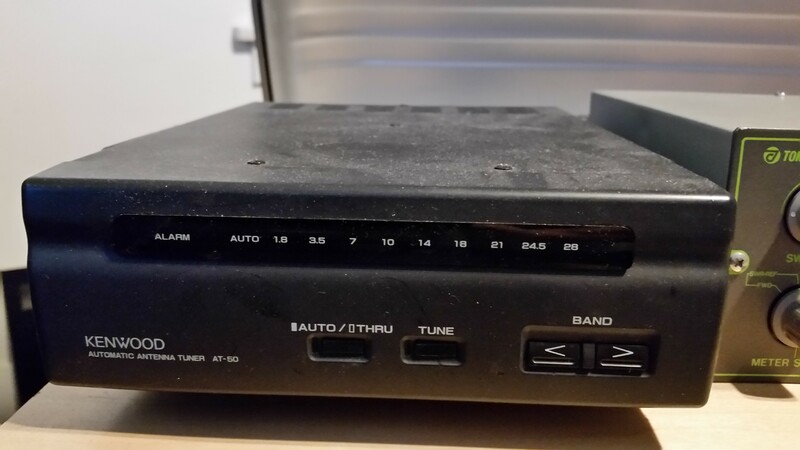 Our January, 2019 poll was "What brand of radio to you use primarily in contests?" 25% of our respondents said Yaesu. 18.75% said Kenwood. 12.5% said Icom. 6.25% said Flex, & 43.75% said Other. We should have included Elecraft! Our December, 2018 poll was "Have you ever hosted a guest operator at your station?" 11% of our respondents said yes. 89% said no. Our November, 2018 poll was "Have you ever operated multi-op in a contest (home or away)?" 80% of our respondents said yes. 20% said no. Our October, 2018 poll was "What is your favorite contest mode?" 76% of our respondents favored CW. 12% favored SSB and 6% favored RTTY. 6% had no favorite mode. Our September, 2018 poll was "What is your favorite contest?" CQP took the top spot. CQWW DX, WPX, NA Sprint and Sweepstakes all tied for second. Purchased a couple of years ago but never used. West Mountain list price is $209.95. 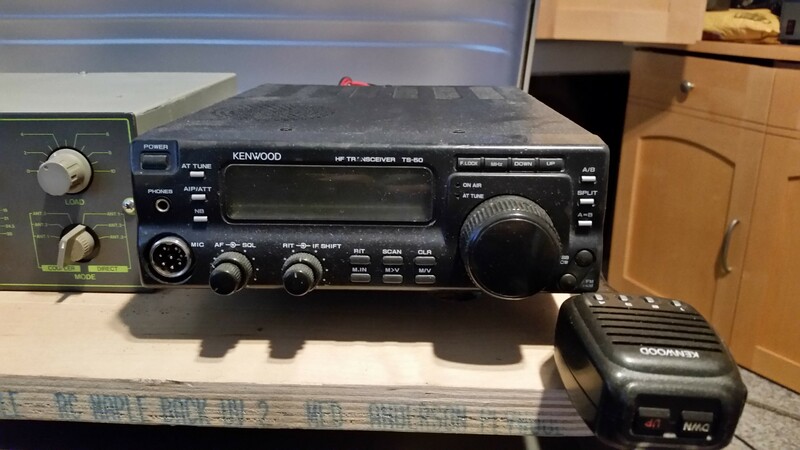 Complete Kenwood TS-50 radio station. Radio and tuner have some scratches on the covers and the radio tuning knob has a small crack. The TS-50 front display panel lights are not working. 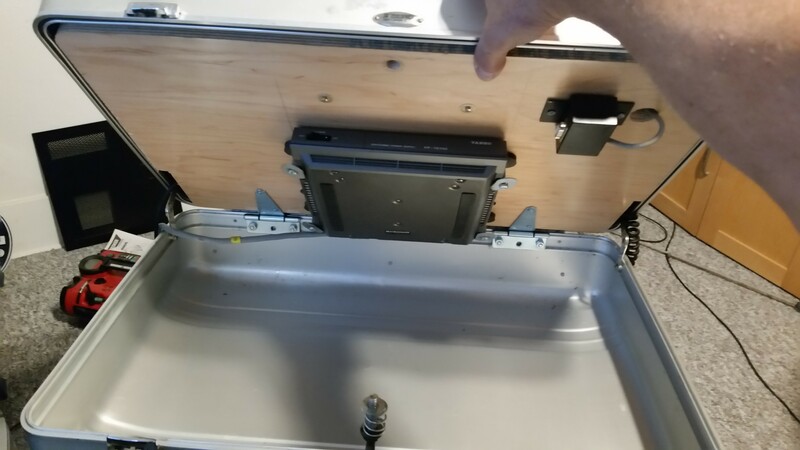 Other than the panel lights I do not know of anything else wrong with the setup. It is being sold AS-IS. You can plug it into the wall or hook up to a battery. All interconnecting cables are included. Just open the case -- hook it up to your antenna--power it up and you are good to go! 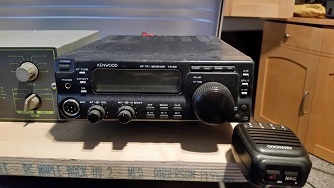 Kenwood TS-50 with Kenwood Microphone and CAT interface (TTL converter NOT included) with mounting bracket. Kenwood AT-50 antenna tuner with connecting cable to TS-50 with mounting bracket. Tokyo Hy-Power 200A 200 watt antenna tuner. I used this for tuning antennas that the AT-50 is not designed for. 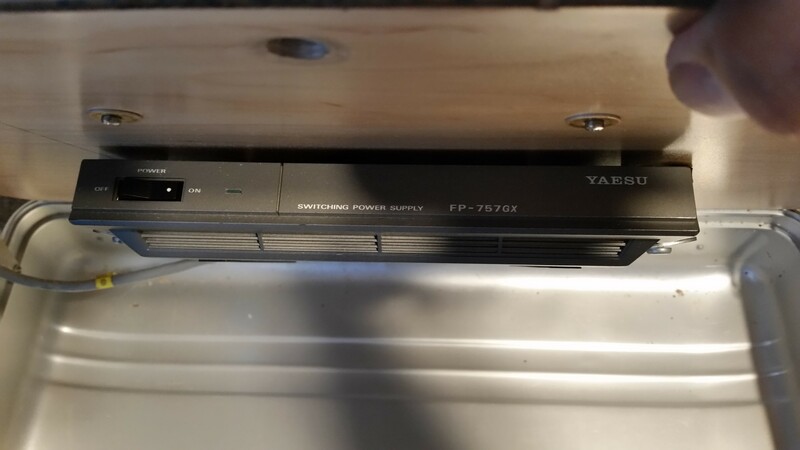 Yaesu Switching Power Supply FP-757GX. I just used the entire setup for a contest and it worked great on everything from USB to FT8. 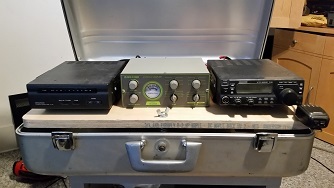 I used the setup with a 30' end fed wire antenna that is not included. The weight of the loaded ZERO case is 43#. Case outer dimensions are 26" x 9" x 18". I have a two year-old SteppIR DB36 with 80 M dipole option for sale. The stepper motors, controller, etc all work perfectly, and the boom and trombones/straight fiberglass poles are in good shape. 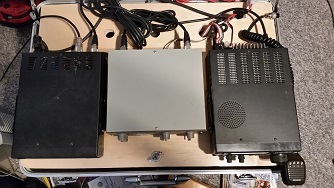 You will likely need to replace some of the small parts (some bolts and Nylock nuts), but can have a working DB-36 for less than half of what it cost new. 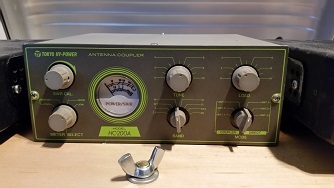 I'm selling the antenna because the trees near the antenna became so large that tilting it over was becoming impossible, and I purchased a DB-18E to replace it. I have some extra fiberglass poles that I will include, and I guarantee that the antenna will work (motors, etc.). Due to the weight and size, I'm thinking it's going to have to be a pickup in the San Diego area. 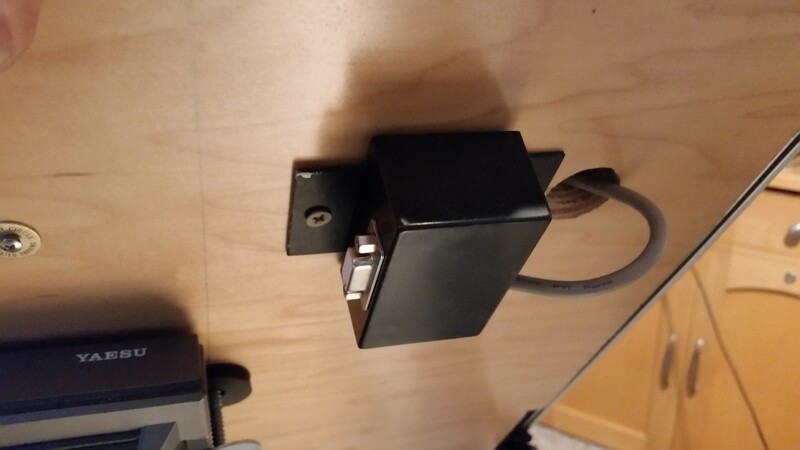 I might be willing to remove the heat shrink couplings and try to box it if the buyer covers the shipping charges (FedEx ground). 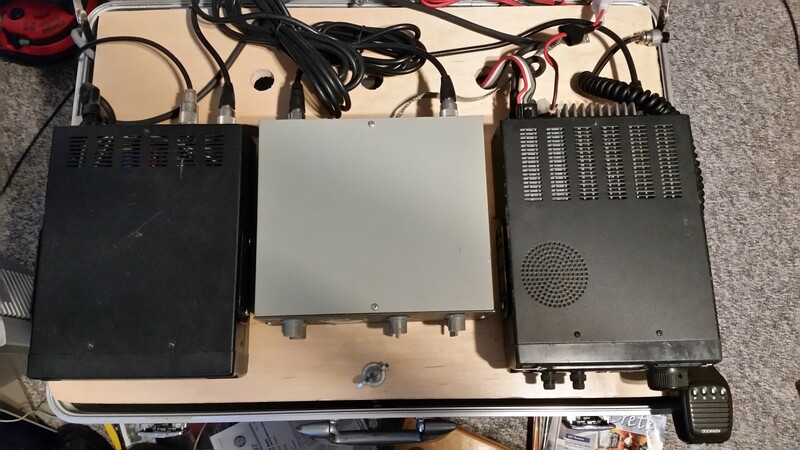 Alpha91B (1st photo shows full output on 40m, 2nd photo the amp in its shack locatoin, 3rd photo shows full output on 10m). Uses two tetrodes to develop full legal output at 240 VAC. Very clean and reliable. Power tap is selectable for 120 VAC if desired. Electrical 9.5 out of 10. Physical 8.5 out of 10. Meter know blips on shaft but meter can be selected with a little lateral pressure . No scratches dents or dings. Has 10m enabled. Non-smoking second owner since ~2005. Quiet blower and fan. Extremely quiet T/R relays for QSK. Original manual, box and packing. Transformer has been removed and would be shipped separately from amplifier (or pickup in San Diego!). 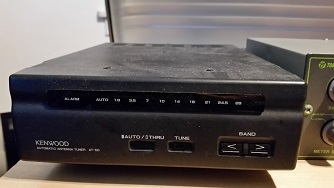 Front panel layout similar to OM-2500HF. Demo video showing full output on 20m into a dummy load. Asking $2,200. Will entertain offers. SCCC #1 currently trending in 2nd place!